Introduction: Value in health care is defined as the quotient of outcomes to cost. Both pediatric and adult spinal deformity surgeries are among the most expensive procedures offered today. 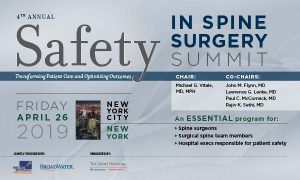 With high variability in both outcomes and costs in spine surgery today, surgeons will be expected to consider long-term cost effectiveness when comparing treatment options.